This is a Shipping Automation module for those who are using Delhivery Courier Services, with the help of this module you can auto-assign AWB numbers to orders and then print shipping labels and barcode generation. Upload Tracking Number via CSV file. Assign Tracking Number to an order and push order on Delhivery Panel. Download Shipping Label with Tracking Number and Barcode. Upload Tracking Number From his panel. Assign tracking numbers to all the orders. Create the manifest for all the orders. Change manifest status for all the manifests. Assign tracking numbers to his orders. Create the manifest for all his orders. Change manifest status for all his order’s manifest. After successfully installation, Now you can see Delhivery menu on header. Click on Courier link under Delhivery menu and fill the credentials. 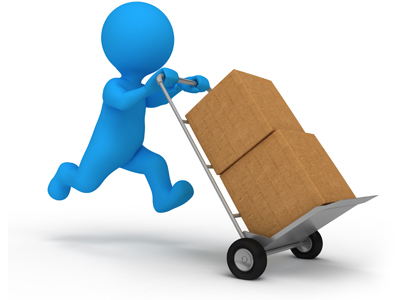 To upload the tracking number click on upload tracking number link under Delhivery menu. To assign tracking number to an order go to orders -> view orders. Click on order id/view order button to view an order. Click on create Shipment button. Now you can see Assign tracking number button under the carrier select box. Choose Delhivery from carrier select box. Click on Assign tracking number button. After assign a tracking number to an order you can see the order in create manifest page. Goto Delhivery -> Manifest to create a manifest. Select orders and click on create manifest button to create a manifest. Click on view manifest to see all created manifest. Here you can download manifest as PDF,Change manifest status new to dispatched and delete manifest. 2. Put your Delhivery username and Password. 3. After successful login,on top right click on api key link to get token. 4. Click on Profile link to get Client.